Just read a news article using Washington Post news app and your activity is posted to friends indicating article you just finished reading. While few users like this sharing behaviour, others may not want their Facebook friends to know which news article or webpages they visited. You easily disable and prevent Facebook Applications from posting such information about your specific app usage activity to other friends. So once you disable it, there will be no posts appearing to friends “XYZ person read this article” and so on. For long manual procedure, click down arrow key at top right and then click Privacy Settings option. On next page, click Edit Settings option next to Apps and websites. Then again click Edit Settings next to Apps you use on the next page. 2. 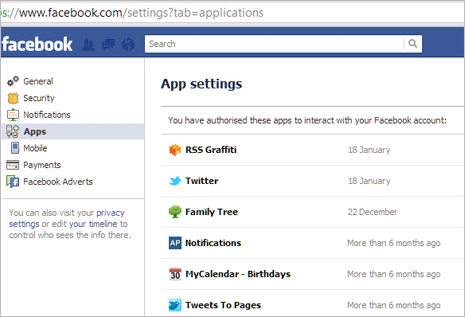 You will have Apps listing webpage showing all the Facebook Apps installed in your profile. Click Edit button next to app whose settings you want to customize in regard to activity posts. 3. 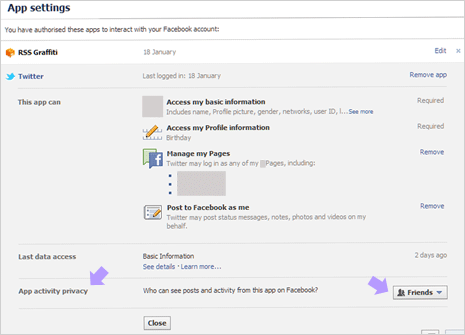 Once you click Edit button, scroll to bottom and look for “App activity privacy – Who can see posts and activity from this app on Facebook?” section. From the box select and change group of users you can see your app activity posts. Select either of: public, friends, only me and custom options. Similarly, you can edit and change app usage activity posts visibility among Facebook friends for other Facebook Applications in your profile.